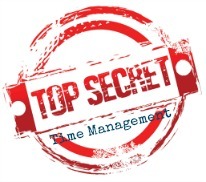 The Secret Of Time Management - Do You Know It? It happens time after time. And so another day passes doing things you didn't plan to do, scratching the latest itches that appear in your life. And what’s really frustrating is that you keep doing the same thing. What if there was a way to make sure you get the right things done? What if you could consistently stay focused and do what you had actually planned to do? It's natural to react to the latest and loudest demands on your time. Reacting is what prevents you from doing what you planned to do. And, before you know it, those incomplete planned tasks turn into stress causing crises. Of course some things genuinely do need to be dealt with straight away. Whether it’s an angry client or a flooded kitchen, you‘ll know it when it happens. But most things don't deserve your immediate attention. What do you do when the latest message drops into your inbox? Either way, your planned work suffers. Most email requests can be deferred using a simple system. So why do we do keep doing this? It’s simply human nature. We tend to react to whatever demands our attention, even if it's not in our best interests to do so. We let the marketing fool us, giving things more importance and urgency than is necessary. Scan down the messages in your inbox and you'll 'feel' what I mean. Reacting is totally understandable. It’s also hugely frustrating. The trick is to know the difference between real and apparent emergencies. People who know the secret of time management make far fewer knee jerk reactions to demands, requests and ideas. They respond by giving things the attention they really deserve at the most appropriate time. The key is to make it your default setting to create a gap between input (whatever you decide to do) and output (when you do it). 1. Why am I giving up my time to do this? Will it be worth my time and attention? To what extent will I know? 2. Who is the best person to do it? Is it really for me to do or would it be better for someone else to do it who has more skill, experience or time, but who won't be too expensive to delegate to. 3. When am I / they going to do it? What's the best time to do this? Now or later? How will it impact on other things that I want to do? Is it possible to do other things like it at the same time? 4. Where will it be done? What are the working conditions? Again, can it be batched together with similar tasks in the same place? 5. How well does it need to be done? Are we talking perfection or simply good enough? Whether those decisions are made consciously or not, the result is the same: They react less and plan more, which partly explains why they are so good at doing what really matters. Do what’s on your to do list for any given day. The only things you do that aren’t are those genuine 'emergencies'. Everything else that come your way today? Put it off. Do it later, do it tomorrow, or don’t even do it at all. Just finish today’s list first. If you find yourself disappearing down a rabbit hole marked ‘Stuff I Haven't Planned To Do’, pull yourself back up out and get back to what you committed yourself to today. After you’ve done what you planned is the time to reward yourself with whatever you want to do. Keep your list close, check it throughout the day and do it until it's all done. That is the secret of time management. It’s simple and effective, but most people just don’t apply it. Be one of the few who do. For the rest of today, do what you have planned to do first. Defer your non essential tasks to a future date.